This is a gazetteer of all the historic features of Liverpool and the wider region that can be found on the Historic Liverpool website. Click on a spot to see a name and brief description, and if there’s more information available a link will take you through to a longer article. Marvellous site, and as good a reason as I’ve come across for wasting time constructively! I’ve spotted a couple of minor errors that you might want to correct, though. Firstly, it’s Princes Avenue/Road/Boulevard in L8, not Princess. Secondly, the houses there are mid-Victorian rather than Georgian – the expansion of the city to the south of Upper Parliament Street and east of Mill Street seems to have paused for for several years before resuming in the 1850s and 60s. The road from what is now the Rialto to Princes Park (ie Princes Avenue etc) was laid out in the 1840s, but its character looks to have been semi-rural in the early days. Thanks William, I shall make those changes shortly! Don’t know how I called it Princess, when I know it’s Princes, and also thankful for you pointing out the dates of those houses, which I didn’t know! My Great Grandad was the landlord of a pub at 251 Walton Road in 1911. His name was Thomas Warren Vallance, he was 33 yrs old and was born in Shropshire (Salop). Do you know what the name was or have any pictures? Guess it was demolished 1930/40’s for the ballroom. Is this the one on the corner of Walton Road and Barlow Lane? On the 1891 map it’s called the Palatine Hotel. There’s no name on the later maps, so I can’t be sure if it kept this name or not. Hopefully this answers your question! I was wondering if you, or anyone else for that matter, could help me. I am trying to find out the name of the architect responsible for the actual design or layout of Princes Road and Princes avenue, most notably the boulevard, or if you have any information regarding its initial inception, date of construction and inspiration. I have been told a tale akin to ‘folk-lore’ that it was created by the architect with a view to replicating a Parisian boulevard, so charming, that he could ‘waltz his paramour from end to end’. The map from the 1950s looks like it had one corner building marked ‘2’, and I can only imagine the address of that building was 2 Tariff Street. So there’s probably a 1 Tariff Street too. Could you mother have been born in either of those? Isn’t there an apostrophe in Prince’s? Sorry to be picky! Interesting question! There should be technically, but a lot of places don’t use apostrophes in their name. There’s no consistency (Bishop’s Stortford is a notable exception). It seems to depend on the habit of use. Princes Park is the same! The best general source for surviving Lpool architecture is Joseph Sharples, ‘Liverpool’, in the Pevsner Architectural Guide series, pub. 2004. On page 276 he mentions that “Princes Rd’ was in the course of formation in 1843 and Princes Ave. parallel dates from the 1870s.” He does not mention individual architects – and they may have been designed by their builders. I second this recommendation! 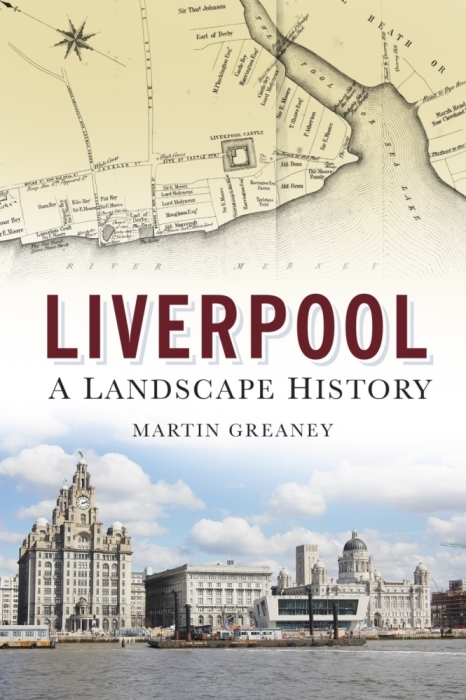 It’s a great book which includes good walking tours of parts of Liverpool. I’d love to know a good place to identify architects. I suspect someone with good knowledge of the city archives could help with this type of research. Some of my 19th century relatives moved from Gloucestershire to Liverpool in the early part of that century. They were millers. They lived in a number of places Princes Terrace and Crist Street are two that I have not been able to find on any maps, I wondered if you could help. Were there any flour mills in these areas? I would really appreciate your help.